It might sound all a bit Frankenstein. But it’s true – researchers have genetically modified the world’s first monkey to have Parkinson’s disease. The controversial development will provide unique insight for scientists and could lead to major breakthroughs for people living with the disease. The research team from Japan presented their marmoset model of Parkinson’s at the State of the Brain meeting in Austria last month. 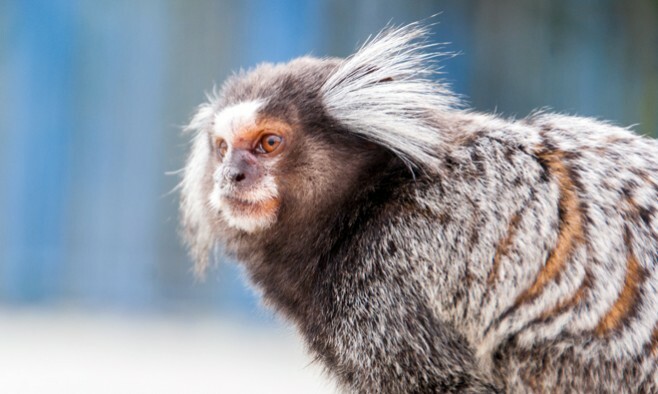 Led by Professor Hideyuki Okano of the Keio University School of Medicine in Tokyo, the researchers developed the marmosets to have mutated copies of a human gene called SNCA that is linked to Parkinson’s, according to The New Scientist. When the SNCA gene becomes ‘faulty’, alpha-synuclein – the protein that kills the dopamine-making cells – builds up in the brain. It’s this lack of dopamine that causes the motor symptoms experienced by Parkinson’s patients. The first signs of Parkinson’s symptoms began to manifest in the monkeys three years after birth. First they displayed signs of sleep disturbance, and later their brain stems began to display instances of protein globules composed of alpha-synuclein called Lewy bodies – a strong indicator of Parkinson’s. This was followed by characteristic tremors associated with the condition. The brains of primates are a lot more similar to ours than those of mice, which currently dominate the neurological field of research. Okano’s team showed that when treated with levodopa, the tremors in the monkeys were alleviated in the same way humans react to the drug. While primate research is generally met with public disapproval in Europe and the US, opposition in Japan and China is less prevalent where breeding colonies house thousands of primates for scientific research.